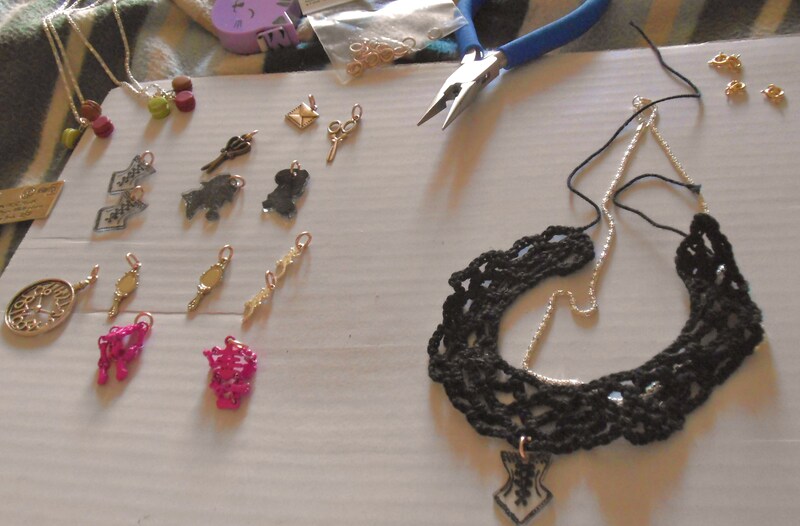 So this week, as well as crocheting like a mad woman as per, I have been necklace making. 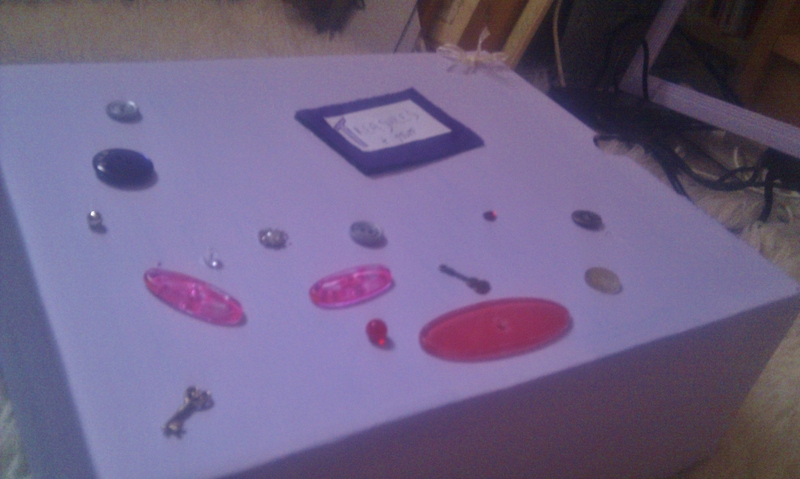 I have gathered various charms through magazines, cheeky finds, making cheeky shrink plastic efforts and my wonderful pal Cia has donated me a whole bunch of funky earings she no longer used. The result has been a salvaged, recycled, crafty kinda week.